Jobs In Progress | Gayler Design Build Inc.
We welcome you to follow these projects and check back frequently to monitor our progress. 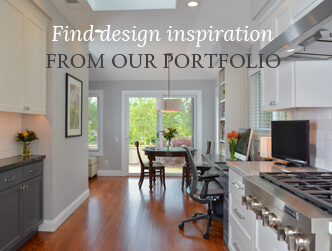 Our hope is that you will learn how a well-planned and well-managed design build process makes all the difference in finishing a remodel on schedule and on budget. (Started 2/21/19 and is scheduled to complete on 6/05/19). (Started 12/03/18 and is scheduled to complete on 5/10/19). (Started 10/15/18 and is scheduled to complete on 4/22/19). (Started 3/6/18 and completed on 2/28/19). (Started 8/20/18 and completed on 2/01/19). (Started 8/06/18 and completed on 10/09/18). (Started 6/20/18 and completed on 8/24/18). (Started 5/14/18 and substantially completed on 7/17/18). (Started 4/16/18 and substantially completed on 6/22/18). (Started 3/26/18 and completed on 6/21/18). (Started 1/15/18 and completed on 4/18/18). (Started 11/30/17 and completed on 2/14/18). (Started 8/24/17 and completed 10/31/17, 8 days ahead of schedule). (Started 11/9/16 and completed on 4/28/17). (Started 10/3/16 and completed 2/16/17, two weeks early). (Started 8/8/16 and completed on time, 11/7/16). (Started 8/15/16 and completed on time, 11/4/16). (Started 7/18/16 and completed on 10/4/16, one day early). (Started 3/7/16 and completed on time, July 8, 2016). (Started 11/23/15 and completed on time, May 27, 2016). Proud of our 21-year consistent track record of delivering every project on time and on budget, we thank you for following our progress. If you should have any questions about this project, or a future remodeling project of your own, please do not hesitate to call us directly at 925.820.0185, send us an email, or fill out our online service request form.